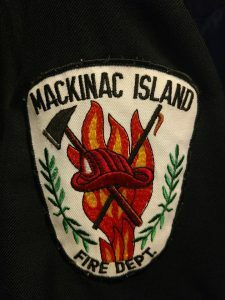 While some will still say they don’t have time for Community Risk Reduction, especially in a volunteer fire department, The Mackinac Island Fire Department is leading the charge in reviewing data and taking action to eliminate needless responses to witnessed false alarms. Some examples of a witnessed false alarm in this case are defined as bumping a pull station, burnt food on the stove or steam from a shower. Around Memorial Day, Fire Chief Jason St. Onge hosted three 20 minute informational sessions which were well attended. 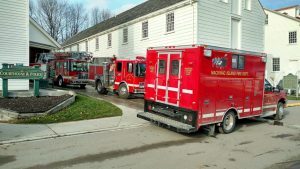 The focus was to explain the process of what happens when the attendee’s alarm sounds and there is generally a three minute window to simply call 911 as opposed to their alarm company, their property manager or their boss to report or cancel the false alarm. 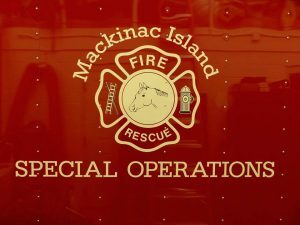 Chief St. Onge also reported in the social media post, including this morning’s quick call, the Mackinac Island Fire Department has been cancelled either before being dispatched or simultaneously to being dispatched between 8 to 10 times. The initiative has saved time and money and kept the already congested streets of the island that much safer. The Chief thanked everyone who has strived to improve their personal fire response plans. This is a perfect example of the benefits of educating the building owners and other stakeholders through informational and conversational meetings vs. simply sending out an email, notification in the mail or issuing a citation and expecting a change in behavior or a reduction of these high-frequency responses. The 5E’s were effectively utilized with a focus placed on Emergency Response and Education (the other E’s include Engineering, Enforcement and Economic Incentive). 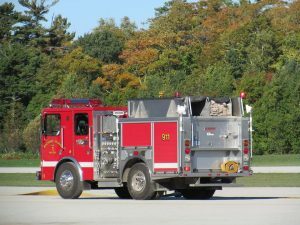 Congratulations to the Mackinac Island Fire Department for the many years of excellent work as you continually evaluate your data and prevent or mitigate risks so the department is more effective and efficient. Your strategic efforts improve both the safety of the firefighters and the citizens you serve which results in an improvement to the quality of life for everyone! ABOUT MACKINAC ISLAND: Mackinac Island is an island and resort area covering 3.8 square miles in land area. It is located on Lake Huron, at the eastern end of the Straits of Mackinac, between the state’s Upper and Lower Peninsulas and is east of the Mackinac Bridge. The island has no cars, no chain hotels and does not allow camping. With the exception of emergency vehicles and service vehicles, travel on the island is either by foot, bicycle or horse-drawn carriage. The island is also home to the world-famous Grand Hotel, the historic Fort Mackinac and the Michigan Governor’s summer residence. In the 2010 census, the city had a permanent population of 492, although that number dramatically increases during the summer months with thousands of seasonal workers, tourists and dignitaries visiting or staying on the island.